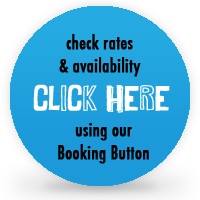 When you book your accommodation directly with us, using our online Booking Button, Igloo Backpackers Hostel Nottingham will donate a portion of your booking to charity. Whether you find sharing a dorm room with other travellers the ideal way to sleep, or if you prefer the privacy of your own room… we've got you covered. Check ANNEXE & PODS availability and rates out for when you are planning to come to Nottingham and book it directly with us. Not only do you pay no deposit and is there no 'middle man' (aka a third party booking engine) to deal with, but a portion of your booking will be given to charity. Please note: Igloo Annexe & Pods are quiet premises suitable for the quiet traveller. We do not accept hen/stag or party groups in either of our properties. If you need to book a group bigger than 5 people, please contact our reception team at +44(0)115 9475250 or by email at reception@igloohostel.co.uk (any group bookings of more than 5 people made online without contacting our reception team first will not be accepted). For all reservations of 4 nights or more, a 50% non-refundable deposit payment for the full stay will be charged upon booking. Each private room in Igloo Pods offers cool & cozy private accommodation, using mainly up-cycled and secondhand furniture, with added touches of top notch comfort features (hello memory foam mattresses, flat screen TVs & free WiFi) and unique personality (including murals in the rooms spray painted by talented local graffiti artist Smallkid), we are passionate to show how hostels should truly look and feel these days. A shared kitchen is fully-equipped for self-catering and includes free tea, coffee and sugar. High quality bathrooms are shared and found on the first and second floor, and there is a laundry service available on request (see more pictures here). Standard Double room in the annexe building. self-catering kitchen in the annexe building. The Annexe building contains a mix of Private Rooms and Dorm Rooms. Each room has a flat-screen TV, work desk and seating area. A shared kitchen is fully equipped for self-catering, high quality bathrooms are shared and adjacent to rooms and there is a laundry service available on request (just pop over to reception at 100 Mansfield Road). Over the years, Igloo has been the host to many a large group booking. Whether it be an overseas school group or an English rowing group, our combination of dorm rooms, flexible private rooms, communal gathering areas, and self-catering kitchens makes it possible to accommodate a wide selection of groups. Because the planning of rooms can be a bit more complicated than a regular booking, you will need to first contact our reception team when enquiring about any booking for more than 5 people (any on-line booking for more than 5 people will be considered invalid). For bookings for less than 4 days, there is no deposit required at the time of booking. You will pay the full amount at the time of checking in (however, we reserve the right to take payment 3 days prior to arrival). For all reservations of 4 nights or more, a 50% non-refundable deposit payment for the full stay will be charged upon booking. We accept cash (in sterling pounds only), debit, and most major credit cards. There is no charge for most domestic debit cards, however, a small charge applies when paying with a credit card. There will be no cancellation charge if a booking is cancelled before 10:00am hostel local time, 3 days before your date of arrival. If the booking is cancelled later, or in the case of a no-show, the entire stay will be charged.